A couple of moments ago, the lovely personal trainer told me there was a voicemail for me–which must have come through while we were at a meeting last night. “That BIN was mine. You owe me!” followed by a somewhat sinister chuckle. Okay…so, now we–or at least I–know who it was that had requested the Buy it Now on the Williamson Roundlets. Yesterday, an interesting lot turned up on eBay. 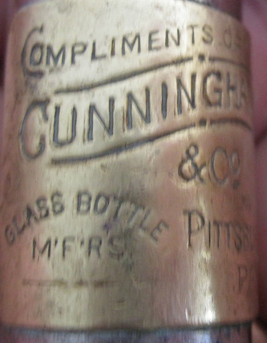 It had a 20 dollar opening price, and pictured on the listing were two Williamson Bottle Roundlets with advertising. In the seller’s listing they described them as having advertisements for Cunninghams and Christian Kolb. However, the picture was pretty blurry, and one couldn’t make out the actual advertisements. And, she didn’t actually show the corkscrews themselves, just the closed roundlets. I threw it on my watch list, and went about my business. A bit later, I was went back to look to see if better pictures had been added, and the listing was gone. Ended. And, then, it reappeared. With a Buy it Now. With the poor photo, lacking actual pictures of the helixes themselves, I stared and contemplated. Surely someone asked for the buy it now, was it worth the gamble that they are in good shape? Were other collectors having the same contemplative moment? I went ahead and clicked the button. Might as well go for it. 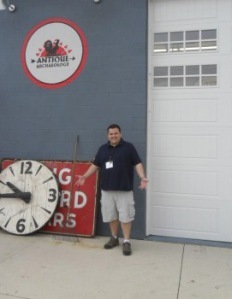 What I have learned, is that Christian Kolb Alleghany may refer to a restaurant that once sat at 311 Federal Street in Alleghany–as there is a reference for that in the Commonwealth of Pennsylvania, Department of Agriculture, Bulletin No. 81, Concentrated Commercial Feeding Stuffs in Pennsylania: An Investigation by the Department of Agriculture of Pennsylvania in Co-Operation with the Pennsylvania State College Agricultural Experiment Station by WM Frear Ph.D.
That is quite the title of a book…just rolls off the tongue, but I digress. I should add that the Bulletin No. 81 was published in 1901. It remains to be seen if the helixes are complete, on these two little roundlets, and if the gamble was worth it. But, I will report back when they arrive! 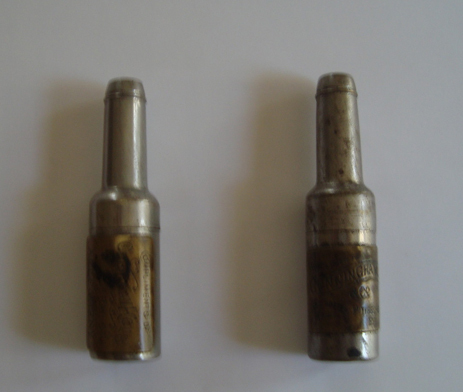 Do any of you have a Christian Kolb Williamson Roundlet? A lovely little alligator made its way to the island the other day. But, as it is a double, it will soon be departing and heading elsewhere. I am guessing the rapidity with which he departs will be based on the level of tradebait that gets offered. Whatchagot? Feel free to send pictures of potential tradebait, if you are interested. I received an email last night offering this corkscrew in trade. And, given I have always been a leg man, how could I resist. Details of the trade have been worked out! And, the leg is on its way! And, as the message continued, I heard that our friend Tommy had been invited to become a member of the International Correspondence of Corkscrew Addicts. I handed the phone to the lovely bride, so she could hear Tommy just beaming through his message. And, immediately, I called him back. Well deserved TC! It will be great to have you in the club, and won’t it be awesome to be back together in Chicago for the AGM!!! We will raise a glass (or two) to you tonight! Oddly enough, as I was going through a box containing openers that could possibly be appropriate tradebait, I ran across an Edward Zinn patent tool kit with corkscrew, a half sized Thomason corkscrew with lovely badge, an extra Steak Joint patent Korker, and a few other corkscrews that I had forgotten about. Negotiations are ongoing, and the hunt continues, but the lovely little alligator definitely will be welcomed on the island. To be perfectly honest, there isn’t much to update in the way of corkscrew collecting. We have had a fabulous trip to NY, and are still here. Of course the big news is that pitchers and catchers report for Spring Training over the next couple of days, which means baseball season is upon us. And…well…hope springs eternal. The lovely and I head back to Maine tomorrow…if anything turns up between now and then, I will post it here! The lovely bride and I head to NYC this morning for a week or so. Don’t know if any corkscrews will be found along the way, but I will be sure to update the blog if one (or a bunch) turns up. 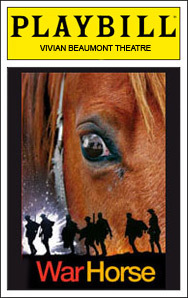 So far the plans involve the Diego Rivera Exhibition at MoMA, an afternoon at the Westminster Dog Show, and going to see Warhorse–oh, and a bunch of walking around and wining and dining! Updates and news as it happens. Stay Tuned! 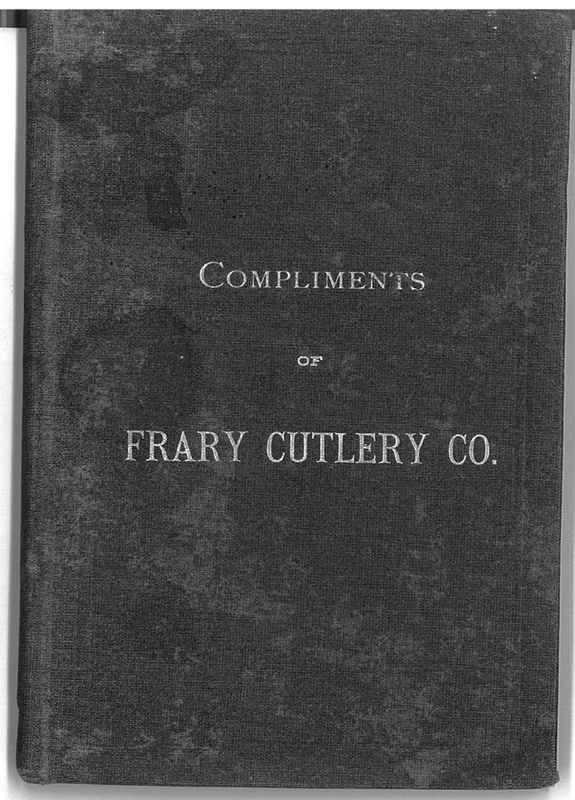 Amongst other important work, I am continuing my quest in researching the Frary & Son Cutlery Company with hopes of finding a means of linking Frary to the corkscrews attributed to him by Kenneth Cope. And… the plot just thickened. But, it does at least add to the story. More from the newly discovered catalog soon!!!! For the last week, I have been watching an eBay listing. Not that I was really watching it for 7 days, but I was definitely aware of it. And, yesterday the auction ended. All week, the corkscrew languished with a pretty low price, and then for most of yesterday it sat there at 68 dollars. I had placed a rather significant snipe bid, and noticing that there was only 4 minutes to go–the last time I checked it–I figured that it was definitely going to be mine. Of course, I also figured fotodeal would be going after it, but I placed a bid higher than one would think. So, this morning, I grabbed a cup of coffee and checked my email. No ebay notifications that I was the winning bidder. And, the winning bidder was NOT fotodeal! 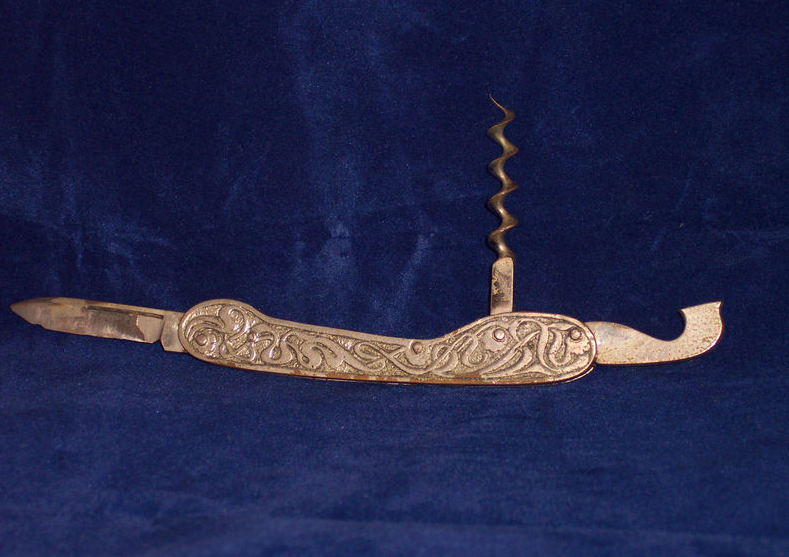 Apparently after a flurry of sniping and bidding that surely has the seller shocked and pleased, the Davis Improved corkscrew–with atypical blade attachment went from 68 dollars to 565! Fotodeal did go after it, but was the underbidder, and I was the bid under his… And, then there were a bunch of others that had noticed the unusual Davis. That said, it did go to someone that we all know well, and I am sure good photograph of it will ultimately go into the article I am working on. Congrats BT…it is a great corkscrew!